All proceeds from this party will directly support AVLF’s Guardian ad Litem program. Join us at Warner Bates on September 12th! Divorcing parents often disagree over custody of their children – leaving the Judge responsible for deciding what is in the child’s best interest. Judges often appoint a Guardian ad Litem to advocate for the child. As part of our Safe and Stable Families Project, Atlanta Volunteer Lawyer’s Foundation recruits, trains, and supervises private lawyers to serve as Guardians at no cost to the parties. Please join AVLF and Warner Bates at the 8th Annual Guardian ad Litem Benefit, a networking and fundraising event held at the law firm’s offices in the Riverwood 100 Building, on Thursday, September 12th, 2019. The partnership between the Court and AVLF promotes a prompt, effective, and efficient outcome for the Court and for the parents – and, most importantly, provides much-needed advocacy to children torn between two homes. With ver 40 Years of Experience in Divorce & Family Law, the attorneys of Warner Bates have earned the trust of families throughout the Atlanta area, the United States, and the world. We have accomplished our goal of maintaining consistent excellence in service over the course of our 40+ years as a law practice by staying true to our core principles. Clients count on us, not just for our unmatched experience and legal acumen, but for our commitment to helping them face one of the most challenging times of their life with dignity and respect. While our services cover the full spectrum of domestic relations matters, our specialty is representing clients in complex divorce cases and providing effective counsel for contested issues. Unlike most firms that handle divorce, we focus exclusively on domestic law. Learn more at www.warnerbates.com. 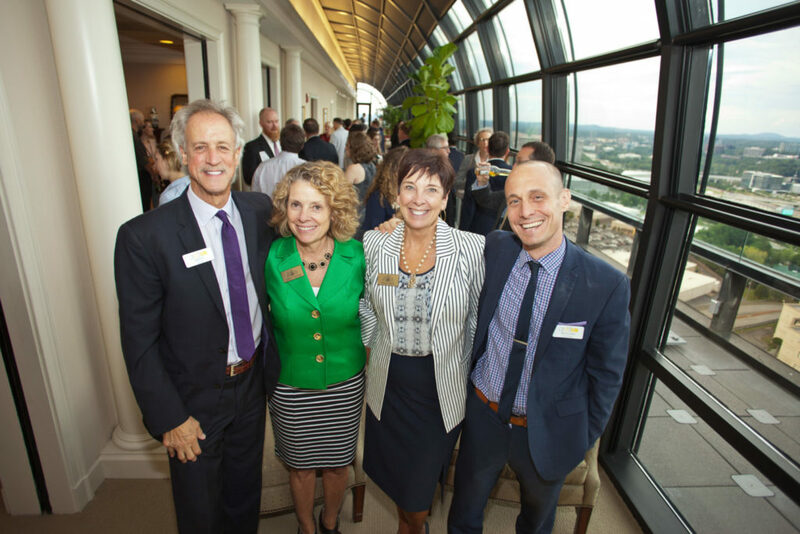 Atlanta Volunteer Lawyers Foundation strives to be the best legal representation money can’t buy. AVLF is the largest provider of pro bono legal services in greater Atlanta. We directly serve almost 5,000 people each year and reach hundreds more through community outreach and workshops. Since 1979, we have promoted access to justice by inspiring attorneys to provide high-quality education, advocacy, and representation at no charge to low-income families with basic civil legal needs. AVLF’s staff trains, mentors, and supports pro bono attorneys to assist low-income people at critical times in their lives. Our staff and our programs make it as easy as possible for lawyers to engage in meaningful pro bono work.